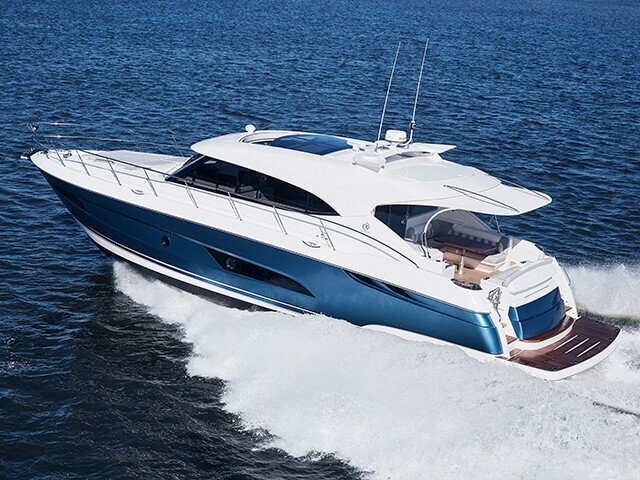 Much much more than a boat brokerage. 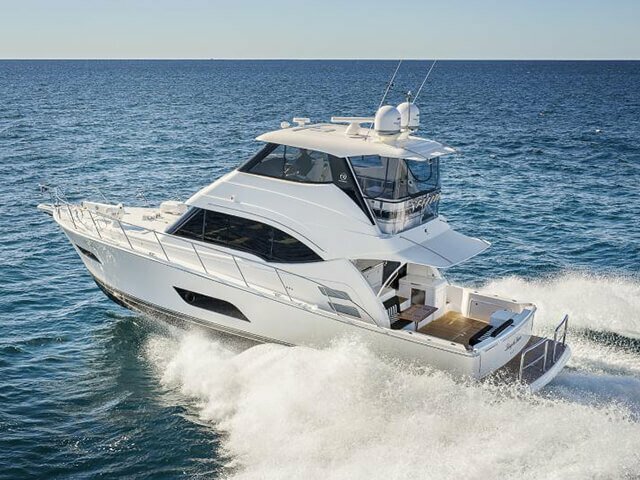 Known for hosting a variety of client boating getaways and member experiences the centrally located R Marine Dealership at Runaway Bay Marina deal with New Riviera builds and all pre-loved luxury boat sales. R Marine Crawley excel at member events with a purpose in mind to bring those with the love of boating together. Working closely with RMC Service Centre affords the opportunity when purchasing a vessel to have superb follow up and after sales service. 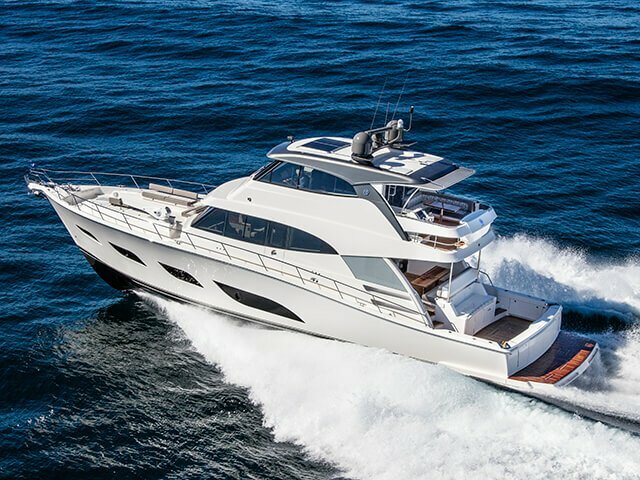 An avid boatie, it’s taking his clients out on a luxury yacht or cruiser for the first time and training them on their new multi-million-dollar vessel that Ben finds highly satisfying. Ben has joined R Marine Crawley with a wealth of knowledge from his numerous years of selling new and brokerage Riviera and Maritimo boats. After completing his trade as a diesel fitter with Hastings Deering he believes he has moved on to bigger and better things in his role and future with R Marine Crawley, which began as weekend work at the start of 2015. Jo brings to the team, a wealth of experience, with over 11 years’ experience as a luxury boat detailer. Having operated her own detailing business for several years, Jo prides herself on her quality of work and meticulous eye for detail. Matty takes care of R Marine Crawley brokerage photography for sales listings, events videography & website posts. R Marine Crawley would like to welcome Zoe to the team as Accounts Manager. 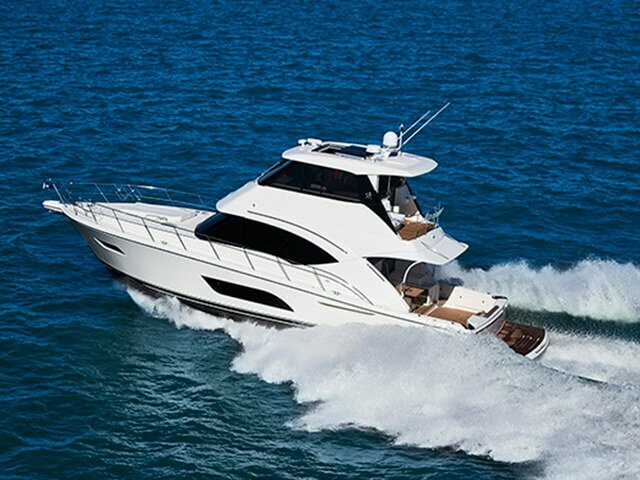 Owning a luxury boat carries immeasurable benefits. It’s a lifestyle choice, with no one day ever the same. To R Marine Crawley Dealer Principal Ben Crawley boating equals freedom; one of the only ways he can put his feet up and relax. An avid boatie, it’s taking his clients out on a luxury motor yacht for the first time and training them on their new multi-million-dollar vessel that Ben finds highly satisfying. 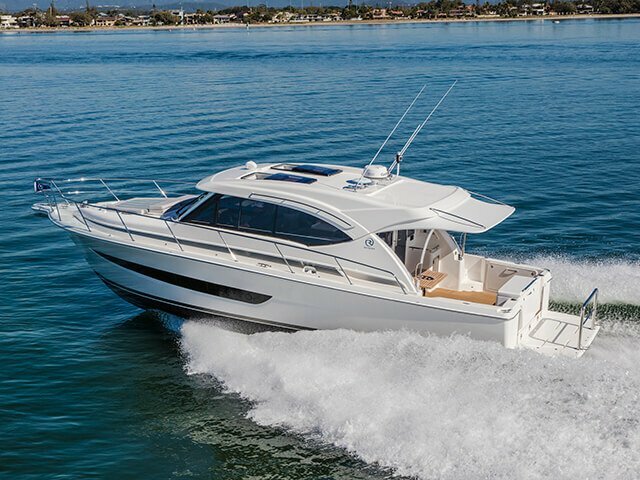 He says dealing with people who are in an exciting time of their lives is a pleasure as he knows they have worked extremely hard to achieve their boating purchase. 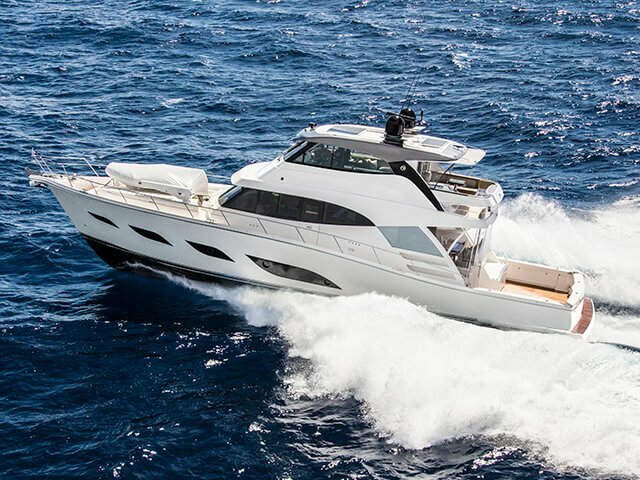 Being a multi boat owner himself doesn’t mean he still doesn’t dream boats, with the release of the new Riviera 565SUV this is high on top of his list for his next personnel boat. 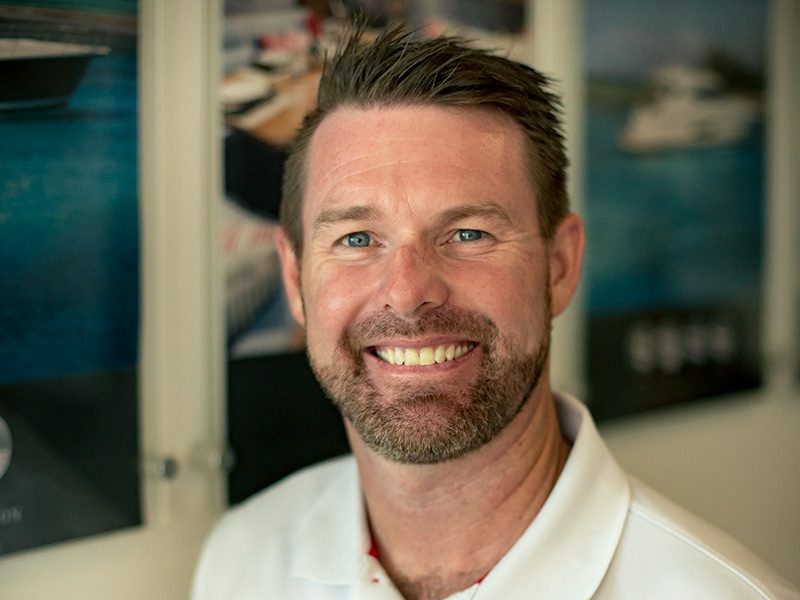 A constantly challenging and exciting career, it was inevitable Ben would sail into the marine industry after owning and operating two real estate agencies in Brisbane. Boating has always been a huge part of his life, often spending three out of four weekends a month with his family on extended trips throughout Queensland & Northern NSW waterways. 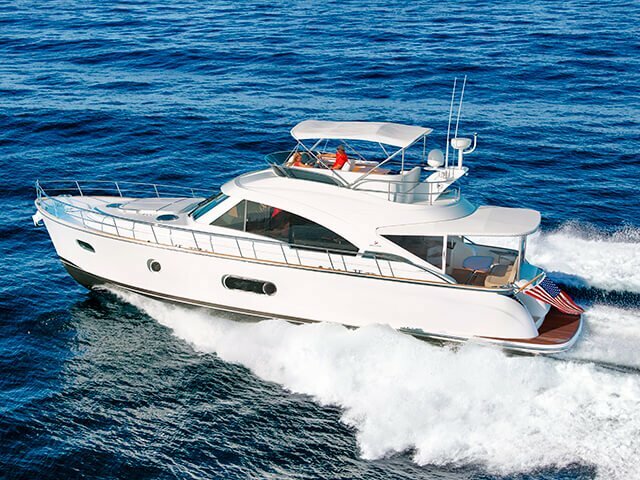 He has a long history with Riviera ownership, both within the Crawley family and personally owning Riviera vessels. His first boating memory with his family on an old timber cruiser when he was six years old sitting on the bow while the boat was on cruise control heading across Moreton Bay on the way to the Tangalooma Wrecks for the weekend. It is memories like this that Ben wants to create for his clients. He says the excitement never fades and when a client sees their new luxury motor yacht for the first time it is always a memorable moment, it’s that passion that continually drives the business forward. 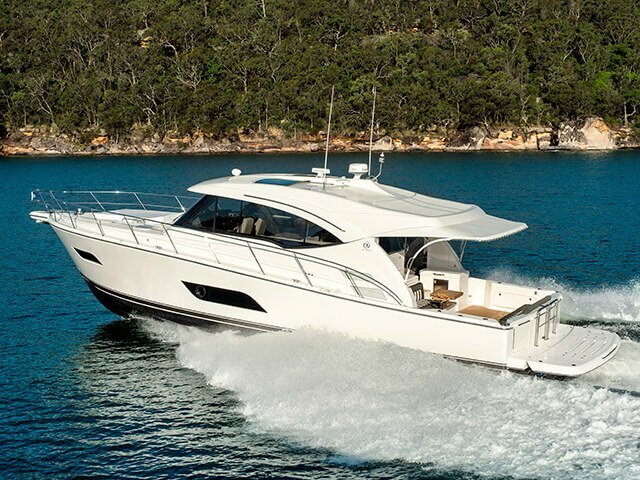 Offering more than just a sale, Ben says the business gives people an experience and they have successfully guided a number of new boat owners on many trips between Sydney Harbour and Hamilton Island. 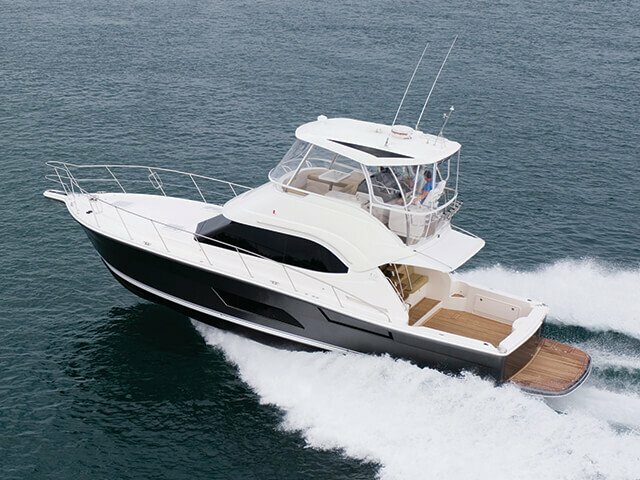 It’s that commitment and delivering a service second to none that Ben finds rewarding, as well as helping people use their luxury boats confidently and in the way they are intended as coastal cruisers. Ben welcomes you drop in for a relaxed discussion anytime at their prominent Runaway Bay Marina location. 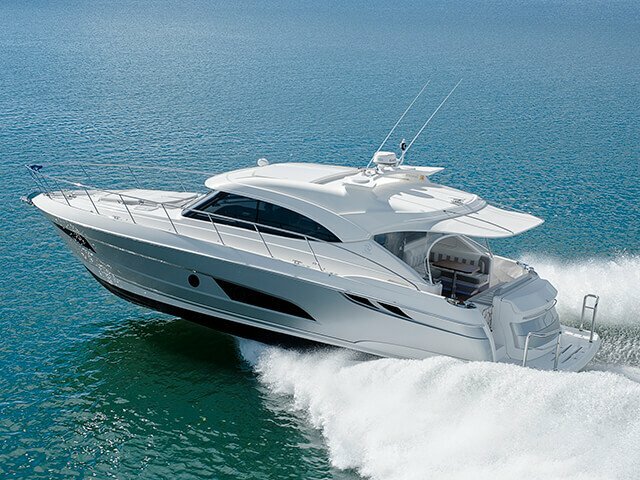 If there’s one element the whole team at R Marine Crawley have in common it’s their love of the boating lifestyle. Luxury boat broker Ben Leigh-Smith is no different having spent his whole life in, on and around boats. In fact, his dad owned a Riviera dealership on the Gold Coast and his family is well known in the industry. Ben began working at Riviera in 2000 when it first opened at Coomera in the exporting and shipping side of the business. He was there for eight years before moving into a Riviera dealership at Runaway Bay with his Dad, Noel Leigh-Smith, where he was in charge of servicing, warranty and aftercare. Boating has been a family thing Ben’s entire life. He couldn’t image life without it. Weekends, birthdays, holidays – in fact, any spare moment – is spent on the boat, and he pegs a trip to the Whitsundays aboard a Holland 46 yacht when he was 15 as one of his best boating memories. He is also an active competitor in sailing events, an activity he began when he was 11 and one that’s taken him all over the world. Ben’s family is synonymous with boating on the Gold Coast; his grandfather started the air-sea rescue service and built the first marina in 1987 at Runaway Bay where R Marine Crawley is located today. 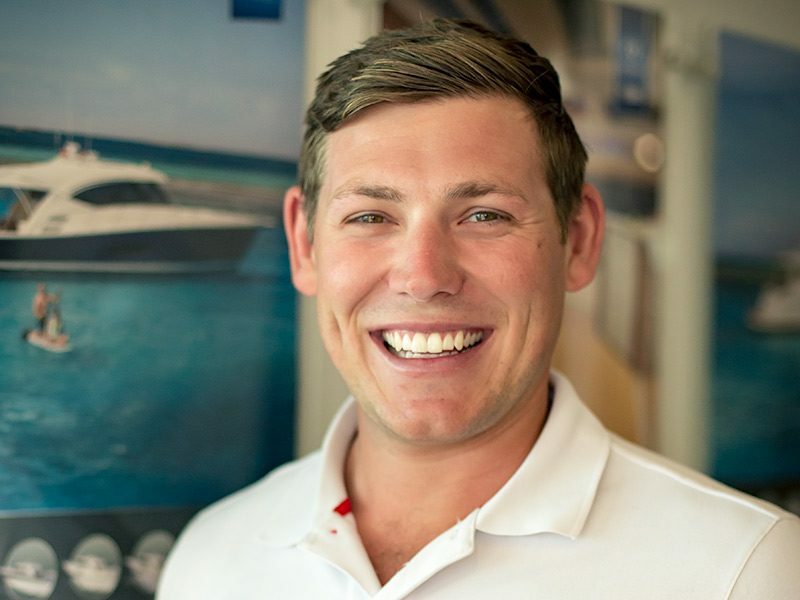 Having owned his first Riviera vessel at 20, Ben’s role with R Marine Crawley allows him to carry on his family’s rich boating history and service his Dad’s former clients. 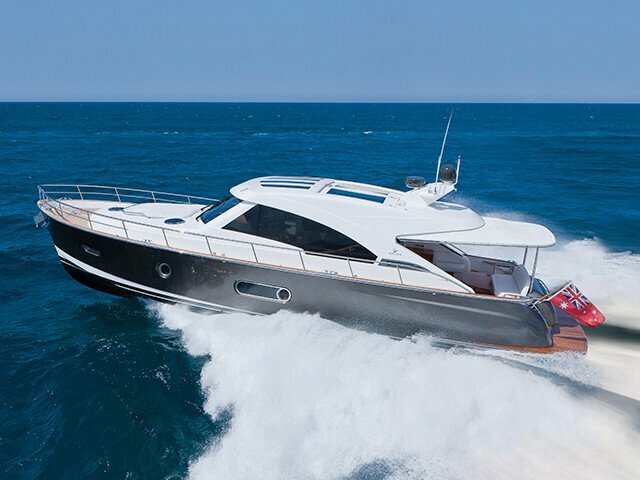 As a luxury boat broker, Ben looks after everything from the listing to the sale of the boat, plus delivery and training. He would be happy to have a chat with you anytime about your boat. After completing his trade as a diesel fitter with Hastings Deering he believes he has moved on to bigger and better things in his role and future with R Marine Crawley, which began as weekend work at the start of 2015. Michael has been on the water since day dot, sailing boats in the heart of the Whitsundays at Airlie Beach, boating to Morton and Fraser islands, and owning his first boat when he was 17, a 5.4m Cruise Craft, which he says was a lot of fun and kept his mates entertained while cruising the Gold Coast waterways. 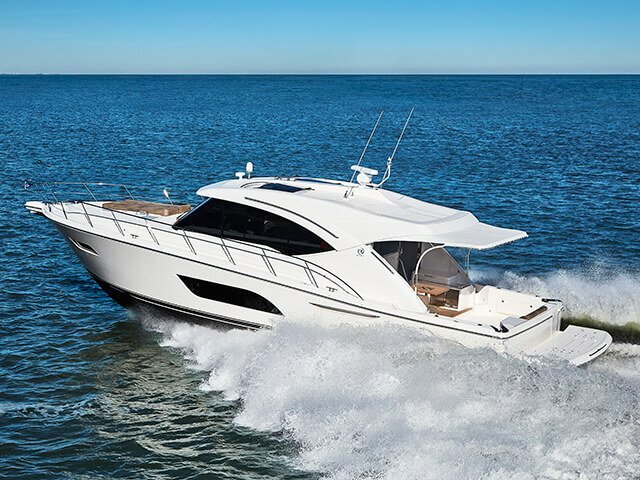 Beginning a career as a luxury boat broker was a natural and easy path for Michael to take and his role sees him interacting with clients, listing boats and selling brokerage boats, plus helping the other luxury boat brokers at R Marine Crawley whenever needed. This, coupled with his mechanical experience, ensures not only helps you secure your dream boat but also gives advice and support in your time of need should any issues arise. 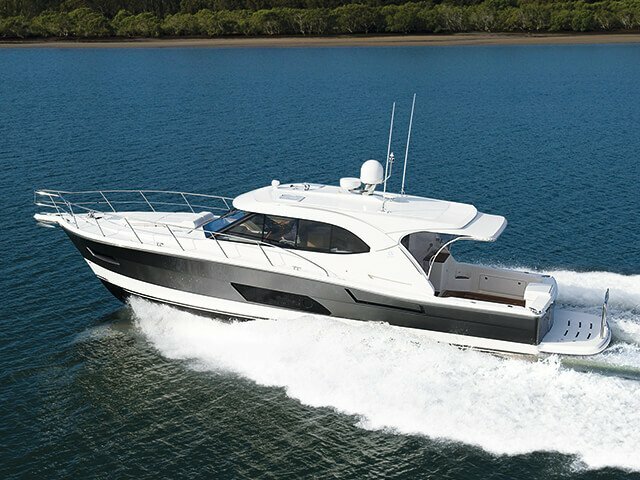 Having now owned three boats, it’s the lifestyle Michael enjoys; taking a dip in the ocean off the boat, fishing and hanging out with friends and family; his fondest memories of boating spent with his family in Gloucester Passage in the Whitsundays. It’s these memories that Michael wants others to experience too and why he enjoys working at R Marine Crawley. Please contact us today for any boating needs, we’d be happy to help you. 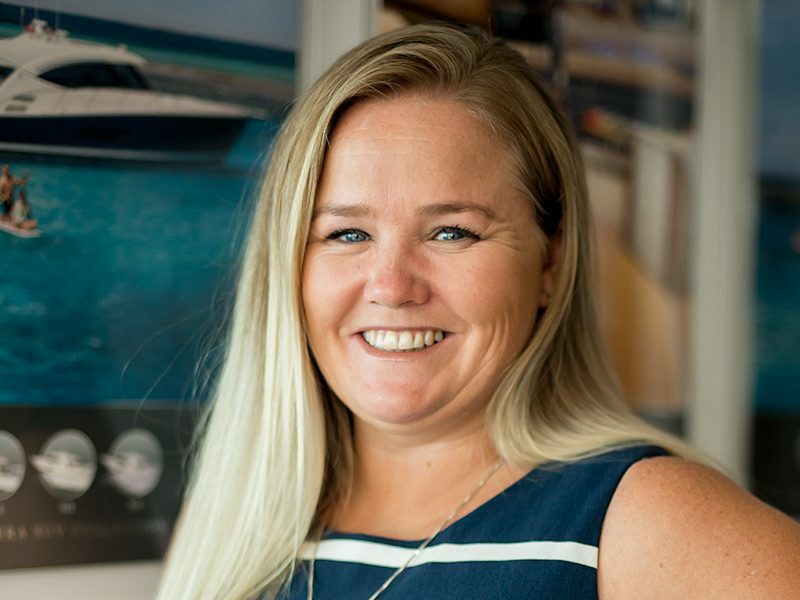 Coming from the Whitsundays, Zoe has spent a great deal of time with her family and friends on the water and is especially fond of fishing. Zoe brings with her over 15 years of experience in Accounts and Finance Management. With Jo’s professionalism, efficiency and love of boats, you can rest assured your vessel will be cared for to the utmost standard with her seal of approval. 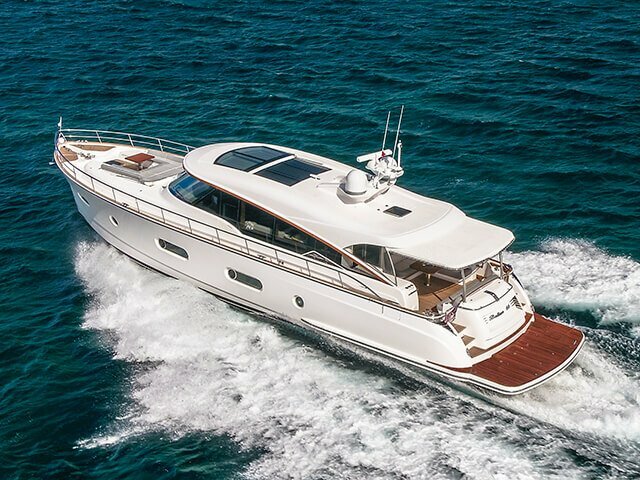 Jo looks forward to contacting our owners and arranging a tailor-made package to suit each vessel’s requirements. 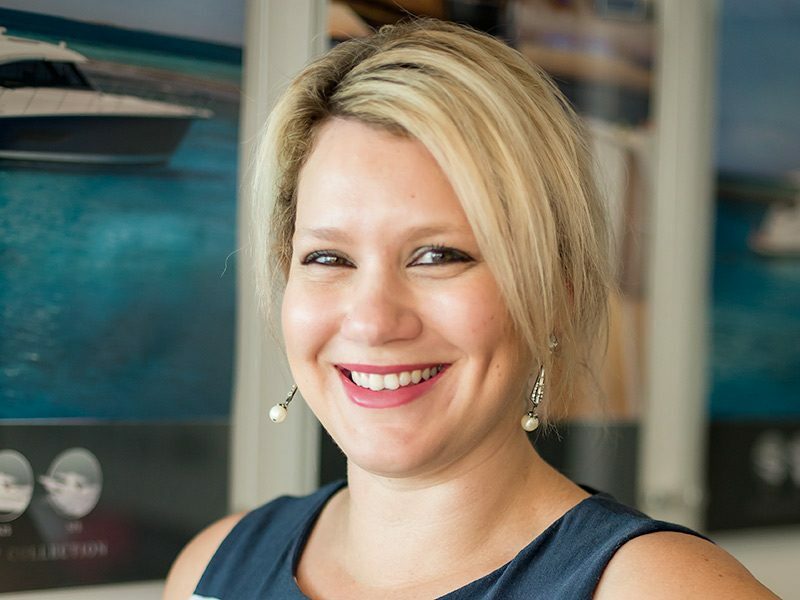 Jo loves all aspects of the boating lifestyle and she looks forward to working hand in hand with the R Marine Crawley family to manage their vessels and have them out on the water in exceptional condition. Having a affiliation with all things ‘gadget’ he thrives on capturing clients & their enjoying the RMC Experiences by drone, professional photography and motion video. RMC Service Centre is a professional vessel maintenance centre providing a wide variety of services ranging from mechanical, electrical, detailing, antifouling and vessel maintenance programs. 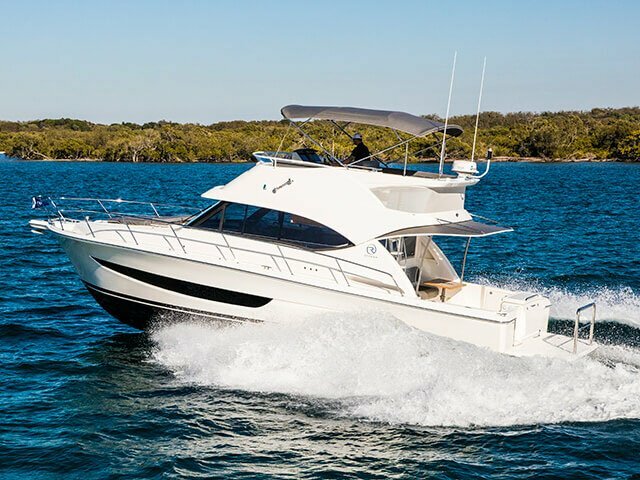 Conveniently located at Runaway Bay Marina, with bridge-free access to the heart of the Gold Coast Broadwater. 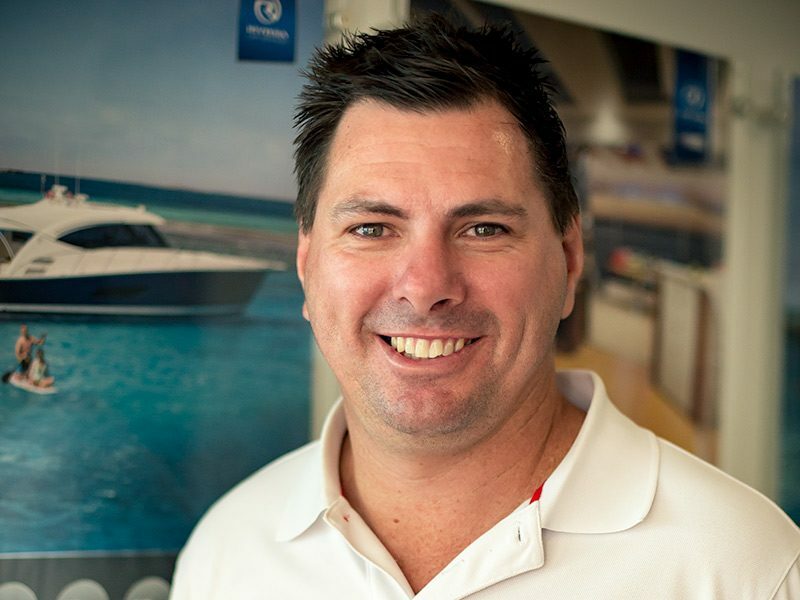 Travis grew up in the Brisbane bayside where he learnt to enjoy the lifestyle boating offers. After school, he completed his trade as an electrical fitter mechanic but soon after found his way back to the water and started a career as a marine engineer. 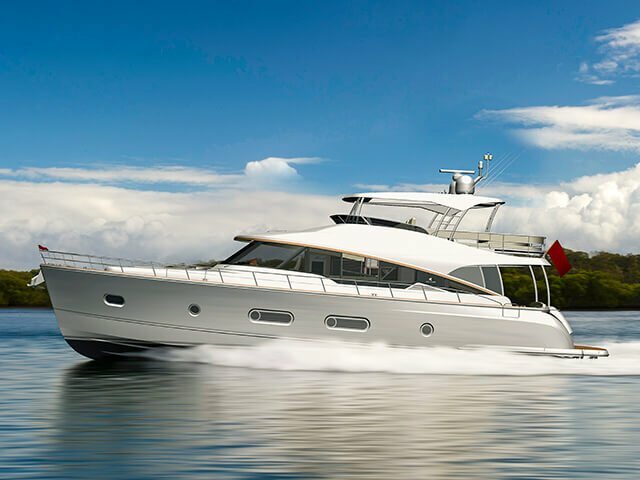 Moving overseas he worked his way through marine college and achieved his Marine Engineers license while working on large private and commercial motor yachts travelling worldwide. After 13 years in the marine industry, he has now returned home and based on the Gold Coast where he will be running the new upcoming RMC Service Centre where he hopes he can capitalise on the experience he has gained over the years. Charles has been in the Marine Industry for approx 22 years working mainly from a technical perspective, however also as skipper. 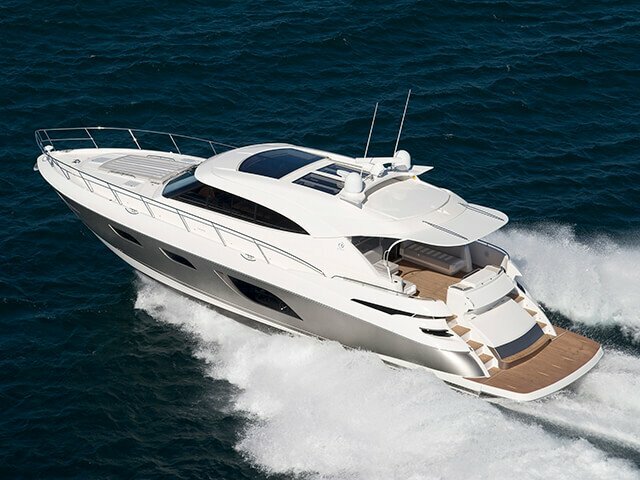 He is familiar with various brands of pleasure craft from Mustang to Riviera & Searay to Sunseeker Yachts. Charles also has experience in a customer service role. In the last 15 years performing duties including Warranty & After Sales Care. 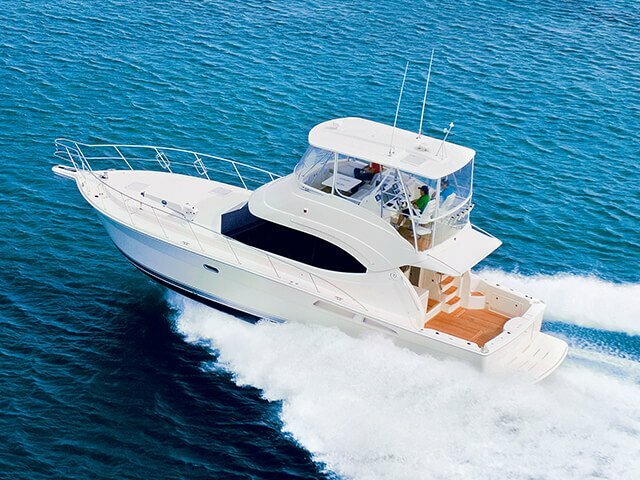 In the last 7 years Charles held the Operations Manager title at Seatech Marine as a Volvo & Mercruiser agent. Possessing a wide and varied knowledge of mechanical and electrical facets of boating RMC Service is excited to welcome Charles to the team.